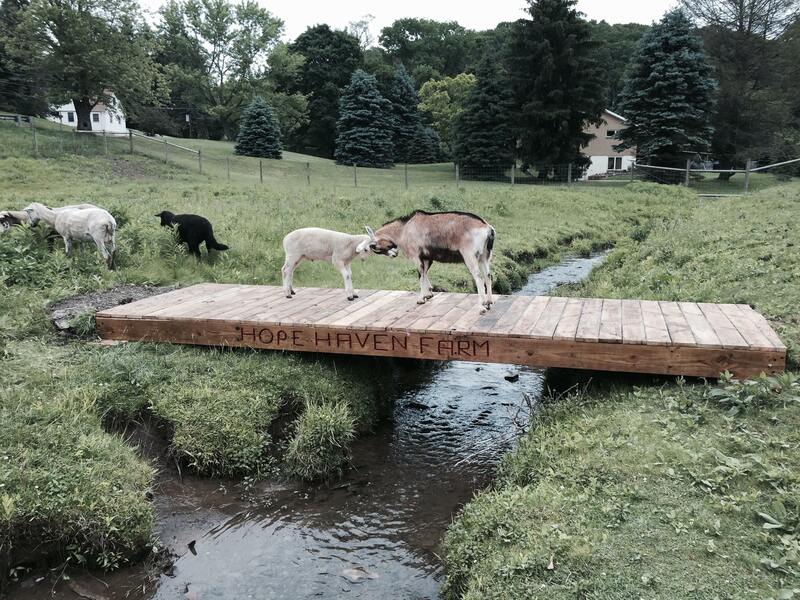 If you’re searching for a place to park your money to benefit rescued animals, Hope Haven is the sanctuary. 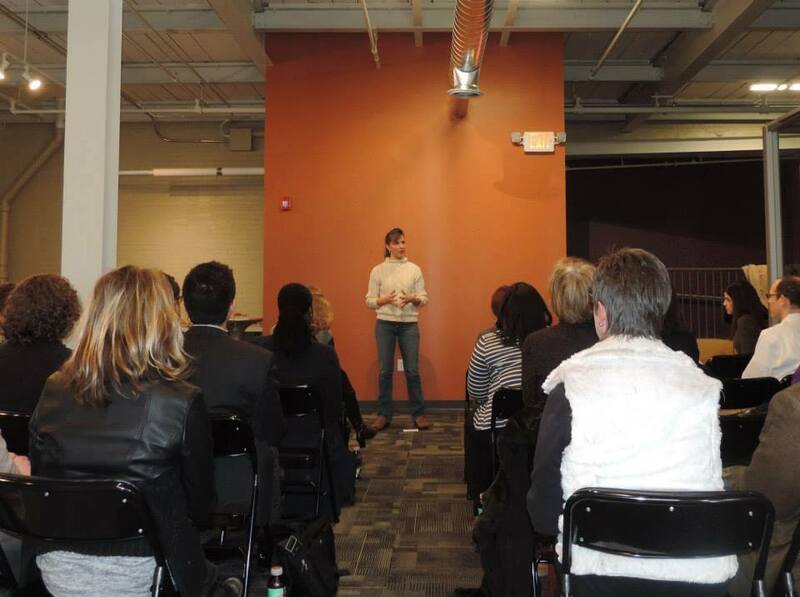 After a thorough review of their financials, social media, and humane education program, and interviews with their leadership team and volunteers, Hope Haven became an easy selection for a $5 Friday pick. With an annual budget of only $30,000, this all-volunteer team cares for 140 animals! That’s impressive! The founder is also a vet and donates her medical services. But, they need our help to sustain and grow their sanctuary. Let’s show these animal heroes how much we appreciate everything they do! Here are a few reasons why you should consider making a $5 donation to Hope Haven Farm Sanctuary. LET’S GIVE IT TO THEM! First time participating in $5 Friday? Click here to learn how it works! Click here to check out previous picks! You can also read Hope Haven’s inspiring rescue of Phoenix on Animals of America today. I proudly donated $5 to Hope Have Farm Sanctuary. Thank you so much, Andrew, for this amazing opportunity!! Thank you, Christine!! Your kind words are so appreciated! And so is your donation! Thank you! Whoo hoo!!! Thank you so much, Jamie! Thanks so awesome! Will do, Larissa!!! Thank you so much for helping us! Great organization, glad to help! Thank you, Vicky! We are so appreciative of kind supporters like you. Your gift will help us get our farm hogs in there new house!! I donated to Hope Haven, and would like to say thanks for all you’re doing! The animals are very fortunate to have such a wonderful place. Thank YOU, Charmaine!! Your gift will help us make our sanctuary even better. 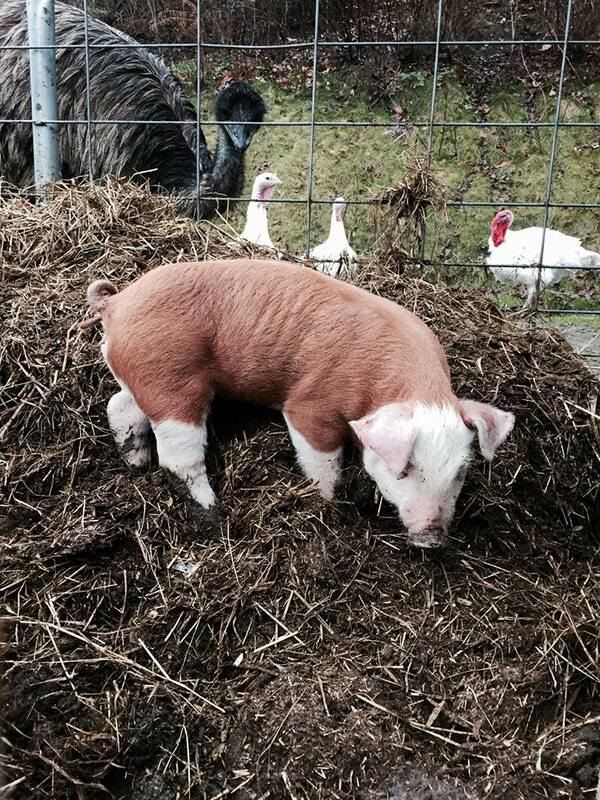 Wally, Ophelia, and Trmpleton pig will be able to sleep in their own shed because of yours and others generous help! Thanks! I donated $15. Thanks for all you do! Wow, Sara! Thank you so much! Your donation will be MATCHED so will bring us $30 for the animals! That will keep our pigs bellies full of fresh veggies for a week! Thank you! Just donated $10… thank you so much for everything you do for these animals!! Tess, we so appreciate your help!!! Your $10 will be matched to $20! That will by a bag of arthritis biscuits for our elderly alpaca! Thank you! $5 Friday x’s 5 for me!! You’re the best, Kasey! We are so lucky to have your help at Hope Haven!!! Thank you for all you do and especially thank you for your gift today. $25!! That will be DOUBLED to $50 which totally can be used to get the farrier out here to trim up Mr. Butters hooves! Thanks! I’ve never heard of Kirschner’s Korner before, but I know of Hope Haven from driving past it, and from seeing Karen on the Pittsburgh Feral Cat Movement page. I’ve donated $10. Thanks for all that you do. Thank you so much, Lynda! I’m glad you enjoy the animals when you drive by! And we will have to say hi next time I am at HCMT. Thanks so much for your support today. Your $10 will be doubled to $20. We will be able to buy two bags of duck chow with that gift! Thanks! I just donated $15 to Hope Haven Farm Sanctuary. What a wonderful organization. I can’t wait to meet the animals this summer!! Awesome, CJ! We can’t wait to meet YOU this summer! Our tour season starts in May so keep your eyes out for the newsletter which will have more info on the dates and times. And THANKS YOU for your donation today. Your $15 will be doubled to $30!! That’s so helpful! We will be able to fill up our farm truck with a full tank of gas so that we can do all the farm chores around here with your gift!! It’s so appreciated! Done but not forgotten, Emily! Thank you so much!!! Your gift has been doubled to $10 which will be going right into our piggies bellies when we go buy them a big bag of pellets with your donation. Thank you! I donated $5 to Hope Haven Farm Sanctuary. Peace Begins on your Plate. Go Vegan! We couldn’t agree with you more, Rebecca! Thank you so much for all your support to Hope Haven over the years and especially for reaching out and helping us today with this fundraiser! Your gift has been doubled to $10 which will be so helpful in building the new shed for the farm hogs here! Thanks so much! Diane! That is so incredibly kind of you!!! And please believe me that you ARE making a difference! You are making a difference to the 140 rescued animals here at Hope Haven but also to the world around you by your kindness and positive spirit. We appreciate you for both gifts you give! Thank you so much! Today’s $25 will be double to $50 which will go straight to buying our new pig shed. And $25 as a monthly contribution will be used to buy the 200 lbs of pig pellets our crew eats here few weeks. Thank you!! I donated $25 to Hope Haven. Karen, you’re a rock star for all you do for the animals! You da bomb, Rea!!! Thank you so much for the kind words and your donation! Your $25 will be doubled to give us $50 to help the animals. Whoo hoo! That will buy us seven bags of sweet feed for the animals. Awesome! Thanks! Thank you, Linda! And great work to YOU for being so kind to help us out today! Your $10 will be matched to bring us $20 for the animals. That will by us three bags of shelled corn for the animals – everyone here LOVES shelled corn! It’s a huge treat! Thanks for providing it to them! Sarah, you are so wonderful! Thank you for all the great work you and your group does with Vegan Pittsburgh!!! You are everywhere and really spreading the love for veganism. What a difference you and your group has had on our city!!! Thank for your gift to Hope Haven today! We are so excited to get Wally, Templeton, and Baby O in their own pasture!! Your $10 has been DOUBLED so it helps even more! That’s so awesome! Thank you! Thank you so much for your kindness!! Your $5 will be matched to $10 which will allow us to buy a tray of vaccinations for our pigs! This will ensure they stay safe and healthy here on the farm. Thank you! Leah, thank you for your help today! Your $5 has been doubled to $10 so that helps us twice as much! We can buy a whole 50 pound bag of chicken pellets with $10. Yippee! Thank you! Awww, thank you so much! We put a lot of love into this farm and it’s amazing animals. Your kindness today will make things so much easier for us to care for our friends here. Your gift will be double to $50 which will be HUGE next time we go to Agway. We can stock up on chicken pellets, sweet feed, AND shelled corn with your donation. Thanks! Thank you Karen for all you do!!! So true, Marc! Thanks for your support of Hope Haven today and for all you do through Vegan Pittsburgh! 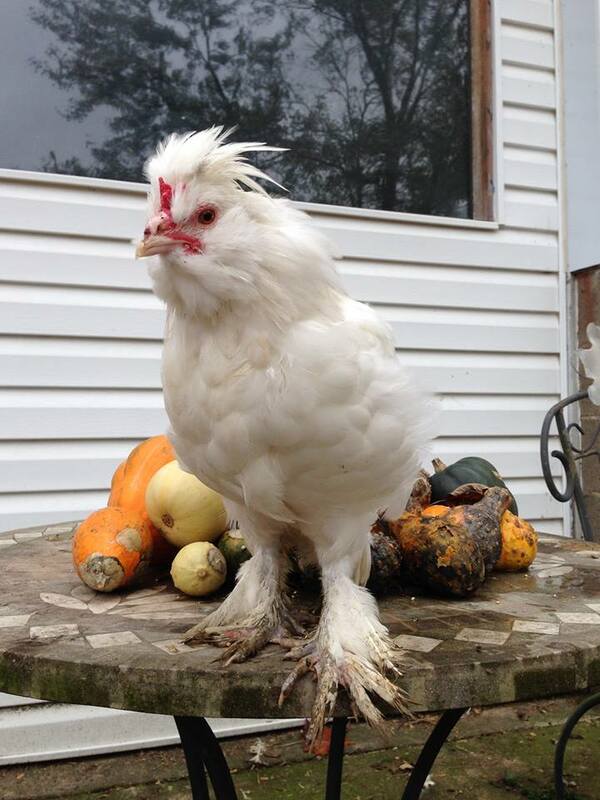 Your gift is going to be doubled and will help us buy a 50 pound bag of chicken pellets for your flock. Thanks! $5 to Hope Haven Farm Sanctuary. Goddess bless you for all you do. And thank YOU for your kindness toward our animals! Your donation will be matched so you will be helping the animals with a $10 donation! This will allow us to buy a whole 50 pound bag of pig pellets for our herd. Thank you so much for this! I just donated $50.00 to Hope Haven. Keep up the good work!! I smile every time that I drive by and see the animals out. Yay! Thank you, Michele! I’m so happy you enjoy our animals when you drive by the farm. And thank you for helping us today with your donation! It will be doubled so that’s $10 that we will have to help our crew. We will be getting 3 big bales of quality hay with that money to feed all of our hooved friends. Thanks! I’m hoping that my donation doubles to $100. Oh yes, Michele! I’m sorry! I thought you had typed $5 but you donated $50!! That’s incredible! Yes, all donations are being matched dollar for dollar up to $1100 so you will have provided us with an awesome $100 for our animals! With $100 we can give all our barn residents vaccinations that will keep them healthy for a whole year! Thank you! I just donated $5. I really hope to make it out and see the critters this summer. Those piggies! Yes, please come out to visit when we open in May, Angela! Thank you so much for your help today. Your $5 is being doubled to $10 which buys us a whole bag of shelled corn for the animals. I can’t think of one animal here that doesn’t like corn!! Thank you! I donated $5 to Hope Haven Sanctuary. Thanks for coordinating this $5 Friday Pick! Yay, Melissa! We so appreciate you participation in $5 Fridays!! Your donation will be doubled and we can use it to buy 4 big bags of mealworms which are a HUGE treat for all our rescued chickens and ducks. They are going to be SO excited! Thank you! Blessings to you And all your babies at Hope Haven. Here’s hoping my gift of $15 will help sustain your work. Hugs and kisses to all the amazing babies!!! It absolutely will, Beverly! And we are so appreciative of you!! Your donation will be matched and provide us $10 to help our animals. We will be able to use it at our next trip to the feed store where we can get TWO bags of millet for our ex-meat hens that need the special diet. Thank you! Sorry, Beverly! You donated $15!!!! That will be doubled to $30!!! Wow!! That will allow us to buy a bag of pig pellets, two bales of hay, AND the two bags of millet for our ex-meat hens! Whoo hoo!!! Thank you so much! Donated $10. God bless you for saving & taking care of these guys! Thank you so much, Ken! We so appreciate such kind supporters. Your donation will help us so much in keeping all these rescued animals healthy and happy. They deserve that!! Your donation will allow us to buy a bottle of antibiotic that we often need to treat a sinus infection in one of our factory farmed turkey. Thank you!!! Donation of $25 complete. I couldn’t love your mission more. Thanks so much, Lindsay! You’re donation is so helpful and we are so grateful for your help here. $25 will help us buy two 50 pounds bags of sweet feed for the animals. This is wonderful! Thanks! Donation of $5 happily made to this awesome place. Thank you, Joseph!! We so appreciate your kindness on this $5 Friday! Your gift will allow us to buy a big bag of organic carrots for our horse, alpaca, and llama! They LOVE carrot treats and we love to give them healthy snacks! Thank you! Thanks SO MUCH, Jeff! That’s incredible! We received your donation this morning and were so excited and thrilled! I’ll have to send you some pictures of Daniel. He is a hilarious character around here. I couldn’t love him more! We have several roosters in our free range group here (there are enough hens that the boys don’t need to fight) and Dan acts like he is the king of them all! He is so little but has such attitude! It’s hilarious to see him dashing around the yard with this long silkie feathers flowing in the breeze. He’s a great bird and i so appreciate you helping us out to keep him happy and healthy! Thank you! Thank you so much, Carolyn! We so appreciate your help on this $5 Friday! Your gift will help us to buy a huge bags of apples that we can cut up and distribute to all the animals here. Everyone loves them! And YES! We are on Facebook so please “like” our page (Hope Haven Farm Sanctuary) and follow us! We are also on Snapchat, Pinterest, and you can get our e-newsletter once a month by signing up on our website under the Contact Us tab! Our website is http://www.hopehavenfarm.org. Thanks! THANKS TO KIRSCHNER’S KORNER for choosing Hope Haven for this match! Thank you, Carol, for your help! Our pigs so appreciate it! We are so excited to be able to build them there own place. They will be thrilled!!! And, yes, such a huge THANKS to Andrew for choosing Hope Haven for his $5 Friday! Donated $25 to Hope Haven. Can’t wait to visit! YAY!! We hope you will visit us this season, Sharon! We open in May and all the dates/times of the tours will be listed in our e-newsletter that we send out monthly and you can sign up for it on our website under the Contact Us tab. Your donation will be so helpful to get the pig barn built so that we can welcome visitors into the barns with the piggies!!! Thank you! I donated $20 to Hope Haven Farm for $5 Friday. What a great place! Thank you for all you do for the animals! Thank YOU for helping us!!! We love our animals and it is swelling our hearts to see all the support we are getting through $5 Friday! Your gift of $20 will help us buy two huge bags of pig pellets that will keep our crew happy for weeks. Thank you! Thank you so much, Robbie!!!! We appreciate your help so much! Your gift will allow us to buy a big bag of sweet feed that all the big barn animals LOVE to get for breakfast. Thank you!! Thank you for bringing this wonderful Sanctuary to the attention of caring people. I made a donation today! Thank you for your very kind donation, Libba! We received it just a few minutes ago!!! It will help us by a HUGE bag of lettuce for our birds. They LOVE getting greens and your donation will allow us to buy a wonderful fresh meal for them! Thank you! Thank you for participating in $5 Friday. 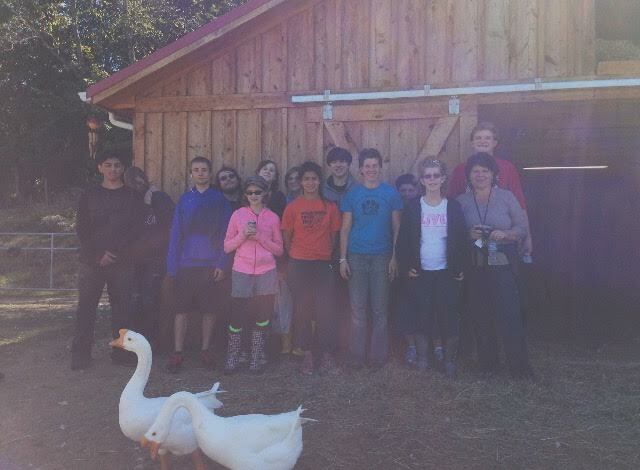 We donated an astonishing $6,632 to Hope Haven Farm Sanctuary. With an annual budget of $30,000, we provided this all-volunteer team with 20% of their annual budget in 12 hours. That’s absolutely incredible. Our new $5 Friday total is an amazing $38,689. Wonderful! Thank you for the challenge! ← Are Men Better Leaders than Women?